Tan′s back. She′s bolder. She′s brighter. 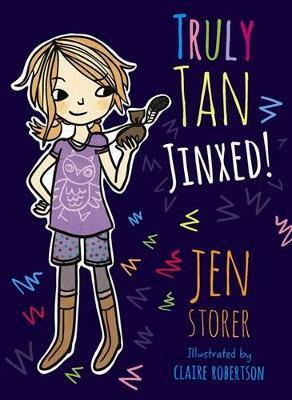 But is she … jinxed? Dad put an old tram in our back paddock. It has Follow Me Through the Shadow painted on it. Obviously that tram is full of secrets. I bet it is even haunted. The problem is I can′t get inside. I am banned. Just as well I am a Secret Spy. Just as well I am cunning and … stealthy.